Ever since I learned how to breath underwater with SCUBA, freediving was almost immediately next on my bucket list. Despite almost three years of diving, I’ve never had the time, or perhaps courage, to try it properly. 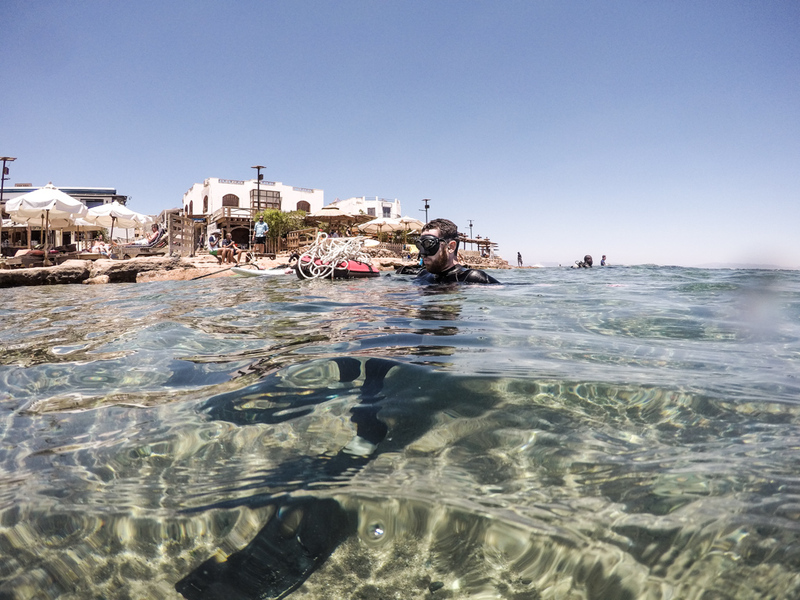 However, thankfully with a little push from Desert Divers Dahab, I’m officially an AIDA free diver. 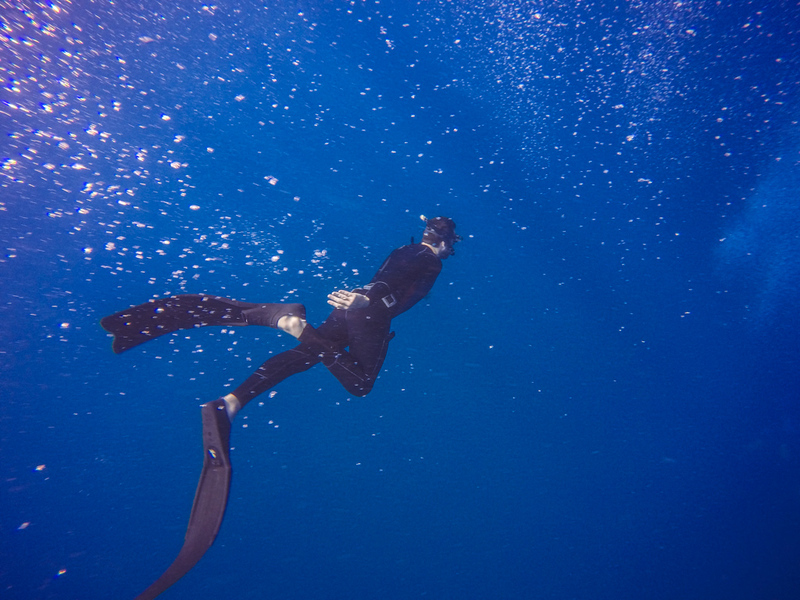 Freediving might take place under water but it’s a completely different experience to SCUBA. At its core, it’s about learning how to breath effectively and conserve oxygen through efficient movement and relaxation. But, it’s also so much more. Freediving encompasses a variety of skills from simple breath holding to covering large distances horizontally or vertically on one breath. For a small but passionate group of people, the quest to understand and push the limits of the human body is what they live and breathe (pun intended). 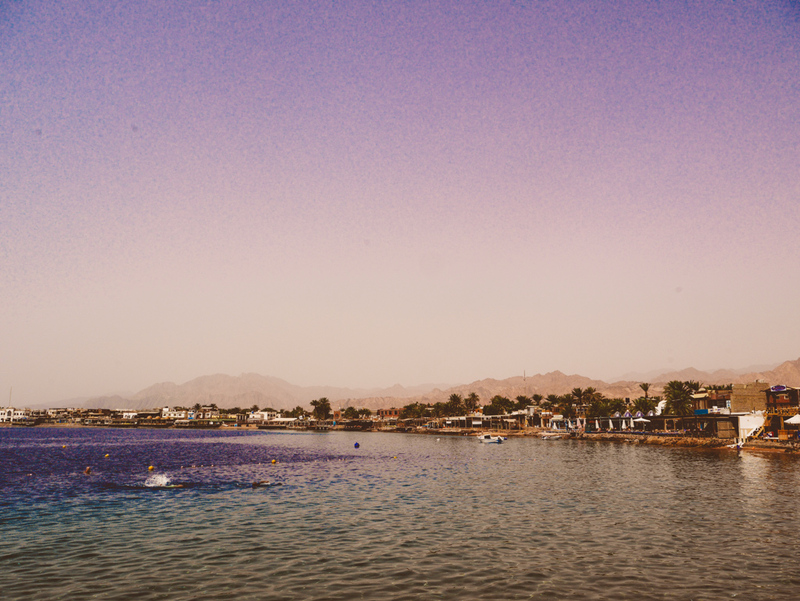 For those dedicated few who devote their lives to freediving, Dahab, Egypt is their Mecca and the best place in the world to learn. If the idea of not breathing underwater for well over two minutes, or freediving down over twenty metres (66ft) on one breath, sounds terrifying – that’s because it is! However, as my instructor Renee used to say, “freediving is 90% mental” – understanding your natural responses to fear and how your body works is how you freedive. If you hold your breath for an uncomfortable amount of time, the first thing you’ll notice is an unpleasant sensation – you want to breath. That’s the body telling you carbon dioxide levels are rising (but) you don’t actually need to breath…yet. The next thing you’ll experience are convulsions from your diaphragm. Again, this doesn’t mean you need to breath, the best freedivers can continue to hold their breath several minutes after this occurs. The signals your body is giving you are completely normal, rather conservative, and can essentially be ignored for a safe amount of time – given the proper training. It’s amazing how much this small piece of physiological knowledge can help you overcome the fear and discomfort of freediving. Anticipating how the body will react when deprived of oxygen allows you to mentally prepare for, and theoretically disregard the unpleasant feelings. One the first day, it would be wrong to say that I wasn’t afraid – I was terrified. Although, after Renee went over the physiology of breathing, I was at least ready to see how long I could ignore my bodies cries for oxygen. After a few hours of theory, dry breath holds, relaxation techniques, and an introduction to taking a final breath (a specific breathing technique to get the maximum amount of oxygen in your lungs) Renee decided I was ready for the water. The focus for the water session was the underwater breath hold, which to my surprise, far from being scary, was a completely relaxing and meditative experience. In just one day of teaching and learning I was able to increase my breath hold from 1:30 to 3:10! It was crazy how much I could improve just from implementing the techniques. Pushing your body is addictive – you keep asking yourself; how much longer could I hold my breath? How much further could I swim? how much deeper could I go? The only way to find out is to keep trying. When I woke the next day I was excited, I wanted to go deep. My first deep dive was down to 10m (33ft) – okay, no problem. The next was 16m (52ft). l made it comfortably. Although, I could feel the doubt grow stronger in my mind as more, and more water separated me from the oxygen on the surface. After six or seven dives, Renee decided to call it a day and try for 20m (66ft) the following day. The next morning, I was unexpectedly filled with doubt. 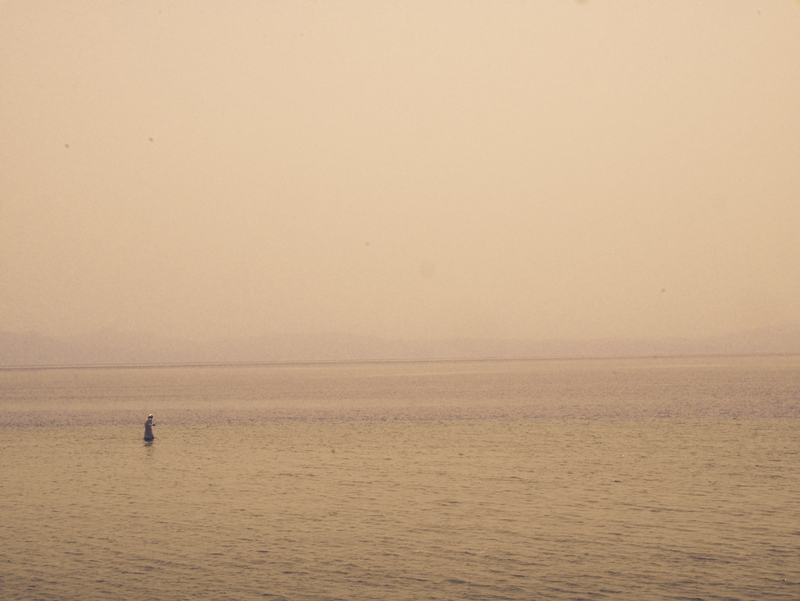 Making my way down to the beach, I concentrated on my breathing, in an effort to relax. I was irritated at how quickly my confidence and enthusiasm had turned to foreboding. On the first dive as I reached 16m, almost immediately I panicked and quickly turned for the surface, as I began my ascent and calmed down I realised I had plenty of air left. The second dive at about 18m (60ft) I turned back in a panic, once again as I relaxed into my ascent I realised I had plenty of air left. There’s honestly nothing more frustrating than knowing definitively that the only thing that held you back, was you. Third dive, again at 18m I felt an overwhelming sensation to turn back, but I stopped, only briefly, regathered myself and kept pushing for the bottom. It was only a couple of metres more, but in that moment, making it was the most important thing in the world. I grabbed a handful of sand from the bottom and made my way to the surface completely elated, the discomfort waning with every second of ascent. Three quick safety breaths and a huge sigh of relief and it was over, I did it. I did it! For me, when freediving there’s an unmistakable feeling of isolation the second your head submerges, that grows stronger the deeper you go. As you are separated from the world above, your mind paradoxically finds a brief peace, as if in a trance. However, there’s only so much separation each person seems to be able to bear, before succumbing to an overwhelming need to turn back. Then, emerging from the silence of that space, you are immediately confronted with the colours, sensations, and oxygen of the world above. It is as if you’ve been shaken awake from a dream, but with your memory intact. There is really no other experience like it. 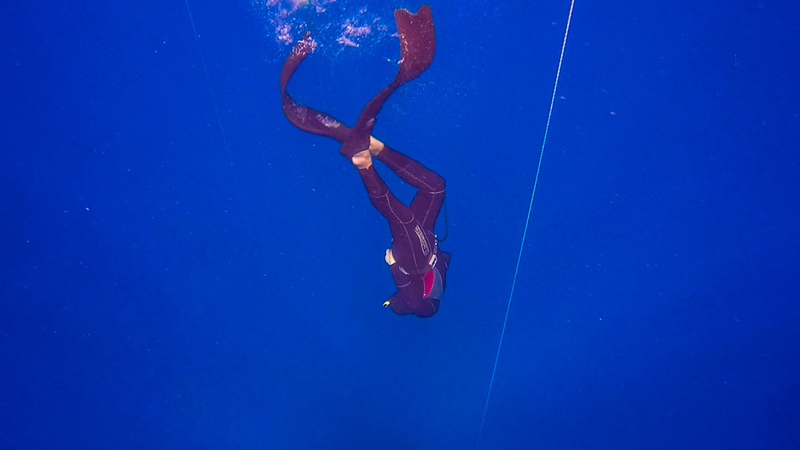 It’s amazing how accessible freediving is – really anybody can learn. 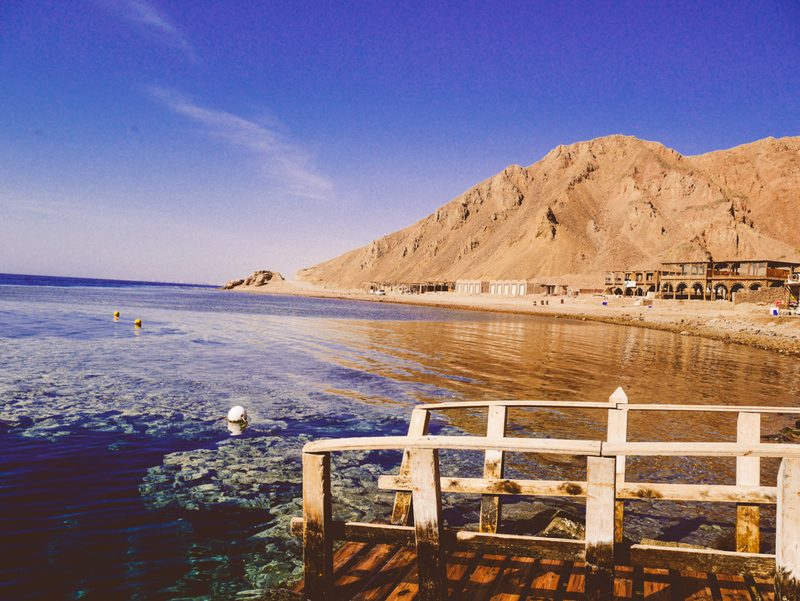 I am so glad I decided to try it, and Dahab, Egypt was one of the most beautiful places I have ever visited. If an adventure like this interests you, please get in contact with Desert Divers who offer some of the cheapest, professionally run courses in the world.